Dimitri journeys into the Australian Outback to photograph the launch of the Aboriginal translation of the 'Song of Songs'. This leads to an encounter with Leah, a young midwife whose tragic secret clashes with the mystery behind his own identity and cultural heritage. 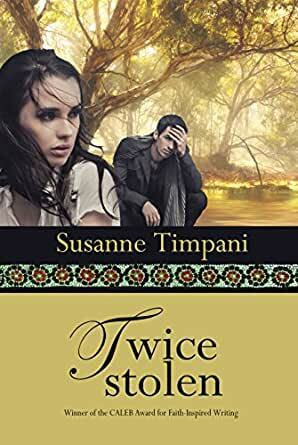 This is an outstanding debut novel by Australian writer, Susanne Timpani. Susanne has crafted an engaging story of love and lost identity, bringing in the theme of the 'stolen generation' which has been one of Australia's most ignored acts of injustice until just recently. Susanne's knowledge of indigenous culture shows thorough research, and she has handled cultural heritage sensitively. Her characters, Dimitri and Leah both face issues of lost identity, and when they first find love together, it is put to the test by perceived ideas of racism and perfectionism. Susanne also takes an indepth look at the sensitive issue of breast cancer, which shows her medical knowledge is also well developed. I would recommend this story as a book to use in education, for discussion on many issues including Australian reconciliation, racism and other ideas of what makes a person good enough to love. But I would also recommend this book as an engaging story of a love between to young people who are searching for hope against all the odds.